Known as Pan Am, Pan American Airways was founded in the US in 1927 and expanded its network of flight routes to cover most of the world. The airliner led the world’s airline industry as the national flag carrier of the USA, until it abolished its flight operations in 1991. The Beatles took a Pan Am flight when they first visited the US, and mass media from around the world shot them walking out of the flight, showing the scene all over the world. In the motion picture “2001 – A Space Odyssey,” a spacecraft traveling in outer space carries the Pan Am logo. Thus, during the airliner’s prime years, the 1950s through the ’70s, most people in the world thought of Pan Am back then, when they talked about world airways. 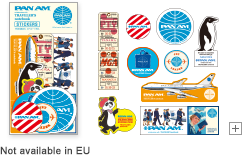 Today, although Pan AM does not carry any flights, its in-flight items and advertisements, which stood for the leading designs and culture of those years, are still cherished by numerous fans. 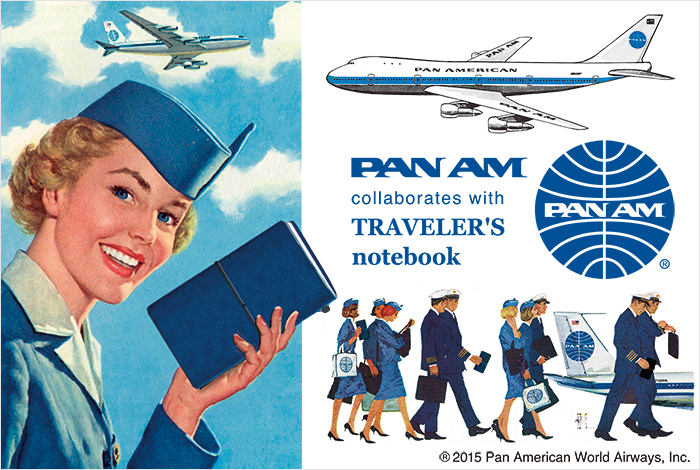 Now, TRAVELER’S notebook is collaborating with the air travel icon, Pan Am. Back then, air travel had yet to become commonplace among ordinary people, who dreamed of flying someday. Just looking at Pan Am’s ads, timetables and tickets was a great source of excitement. 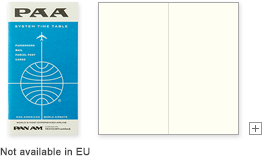 We have created new TRAVELER’S notebook refills and customization items, based on the airliner’s design archive. 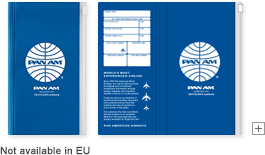 Set to the keynote of “Pan Am Blue,” these new designs should prove to be very helpful as you customize your TRAVELER’S notebook Blue Edition as well. Just use them with your TRAVELER’S notebook, to imagine what dreams many had about air travel. Pan Am’s 1960 timetable was our source of inspiration when we designed the unruled refills, which feature the airliner’s globe logos on the cover page to remind us of the planet. The cross-section refills, which feature a Boeing 314, a propeller aircraft that makes us nostalgic today, are designed after the airliner’s 1939 timetable. Keep them inserted in your TRAVELER’S notebook, together with the Zipper Pocket which is designed after the ticket holder, to spend every single day of your life on a Pan Am flight. The brass body is painted in matte Pan Am Blue, while the globe logo charm adorns its head to remind you of the muddler used on board. 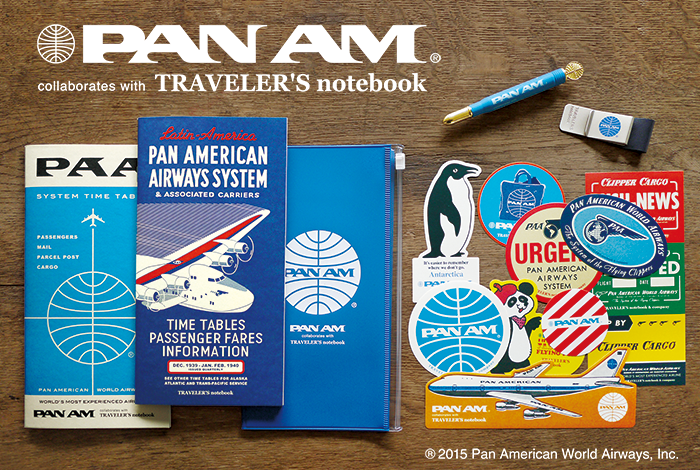 Just push it in a shirt pocket, and the Pan AM logo will greet others when they see it. In reality, the airliner’s crew back around 1960 did not wear such an item, but this brass ball-point pen makes people imagine that.